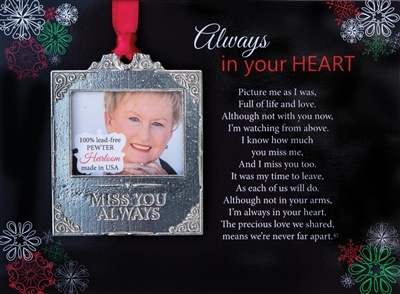 The bereavement photo gift is packaged with a touching poem by Teri Harrison, "Always in my Heart". 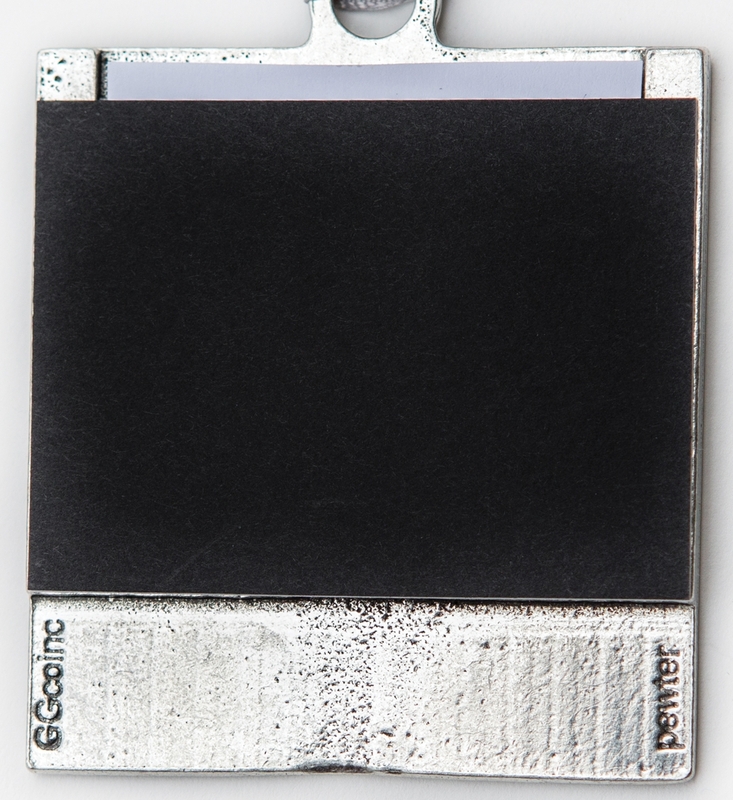 The poem card card be saved and treasured. The ornament and poem are gift boxed in a 5.25x7.25 black box with a clear lid and make a wonderful, personal and complete Christmas gift during a difficult holiday season.